OMA's Reinier de Graaf talks about his recent book, housing and political mobilisation, his compromises, and a radical pursuit of the mundane. In his book Four Walls and a Roof – The Complex Nature of a Simple Profession, Reinier de Graaf paints an honest picture of what it is like to work as an architect today. 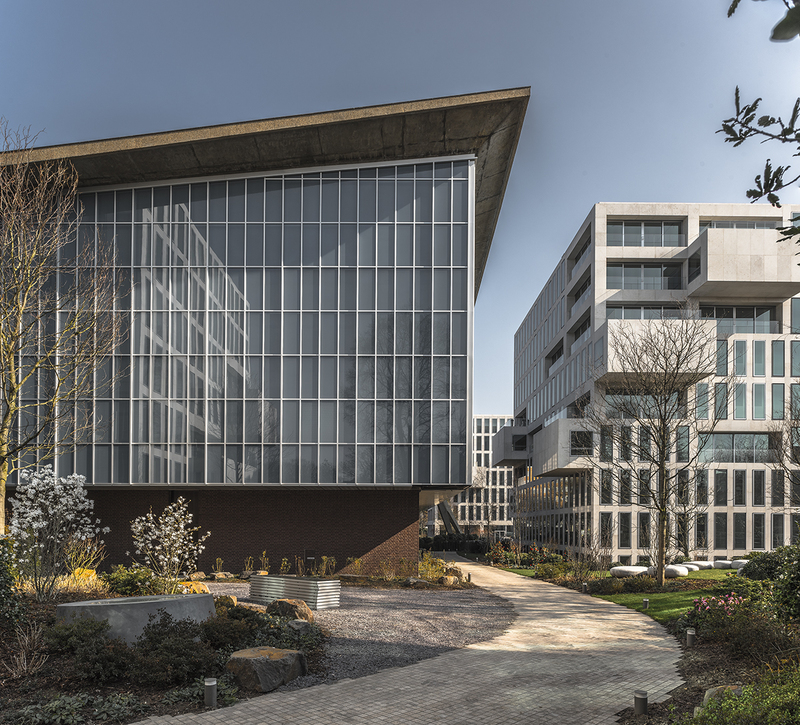 De Graaf, who is a partner at OMA and director of AMO, the office’s think tank, provides engaging stories about the banal, everyday reality of working for an acclaimed firm. These vivid, uncompromising narratives are contextualised with shrewd essays about architecture’s lost ideals, its false pretentions, and utter dependence on forces far more powerful than design. We sat down to talk about housing and political mobilisation, his compromises, and his radical pursuit of the mundane. MM: The book’s journal-like descriptions of encounters with politicians, bureaucrats, real estate developers and celebrated architects are highly entertaining – and often depressing. I had to laugh more than once, for example when reading your account of a meaningless talk by Richard Rogers in Abu Dhabi, in which you compare his posh English slur to the sounds produced by a drunk. Which anecdote from the book is still most fun for you to read back? RdG: In essence, I don’t think humour is ever depressing. It can, of course, be a sign to conceal a tragic reality. Rereading certain parts of the book, I still have to laugh about them. I think the essay that comes closest to what you are hinting at is the one about the project in Russia, where there was a desire to progress and an inherent inability to do so. It is deeply tragic, but also almost admirable to see how skilful they were in crafting that tragedy. I’m wondering to what extent that is symptomatic of our profession as a whole. In its current form, architecture is an elaborate ritual to avoid the inevitable, namely if history continues the way it does, our ongoing and increased marginalisation in the future. The book is a wake-up call, which I felt could only be written with a light touch and with funny stuff in it. The alternative would have been a highly moralistic book. There are highly moralistic issues that I address, but I haven’t been raised to preach, and I don’t think preachers make very good writers. You observe that ‘thought production’ by the architectural profession has come to a standstill, that since the 1990s large urban visions or manifestos are no longer being produced. Your book is an engaging intellectual product, but I’m left wondering what your intention is because it refrains from setting an agenda. Is it only an observation of today’s impossibility of architecture with a social mission, and a confession of playing the game you hate, or more than that? Many people tell me that the book provides astute observations, but very few answers. I guess it is true. But I think the architecture profession is in such a state of denial that providing a quick fix solution would almost be like letting them off the hook, and allowing them to collectively run towards that answer. I thought it was more productive to analyse the state of affairs without sugar-coating things. Ultimately the solution to every problem begins with the frank acknowledgement that there is a problem. I don’t think our type of people are anywhere near ready to acknowledge the extent of the problem or even that there is a problem. In many ways, I have nothing to complain about. I work for a well-known firm with enough money, and one which looks like it will eventually outlive its founder. Nevertheless, I see the way people look at us, and I know the assumptions about the nirvana that we inhabit, but that’s just not the case. Our daily reality is also tainted by very banal setbacks, by very mundane, and sometimes quite deflating behaviour on the part of clients or the world at large. I think the value of the book is also that it shows the inside reality of a famous practice that has a particular glamour. It’s considerably different from what people think. When you say that change can only start after the acknowledgement of problems, can we then read the book as a prelude to a manifesto? The book is hopefully a provocation to people infinitely more intelligent than I am, to come up with the answers. In that sense, maybe you can call it a prelude; I call it a beginning. The next book I write will probably be fiction because the reality of my experiences has been exhausted in as much I can talk about it openly. And maybe fiction is the way to go if you want to sketch an alternative. Maybe, but I don’t think that fiction will do that either. I don’t have an alternative, but I do have a recommendation. Not about what to do, but how to be. The diary part of the book called “Trial and Error” talks about the daily work of OMA projects, alternating it with world events. It is about England pre-financial crisis, the Middle-East pre-oil bust, Russia pre-Putin and Iraq pre-ISIS. In each instance, the circumstances in which you work seem incredibly mundane, but all the while world history is a kind of tumultuous spoilsport of ongoing affairs. My recommendation is that architects become more aware of the context in which they work and take more time to look around at the world that asks them to do what they do so that they can for instance recognise the motives behind it. The essay about Thomas Piketty deals with something else to consider, namely that modern architecture was once based on efficient, rational, fast industrial production to give as many people as possible a decent home. It made buildings cheap, so they were available to many people. That same ethos is still very present in modern architecture, but it makes buildings cheap – not to be sold cheap or to be rented cheaply – it makes buildings cheap so that they generate the highest possible return on investment. That same aesthetical ethos of saving, of an economic minimalism, now serves an entirely different purpose. It serves not the happy many, but the happy few. It’s the same architecture in the context of a different system. I don’t think anybody who practices modern architecture is even vaguely aware of this. They were all educated with Le Corbusier and Gropius, and they consider themselves the heirs of those heroes when they actually operate in a system where they are complicit in things completely at odds with the ideals of that movement and those heroes. You mean all that is left of modernism are the stylistic principles? Yes. And the stylistic and organisational principles help very different interests at the moment. So it’s not just that the original modernists once were a positive force and the current ones are simply a neutral force. By continuing that legacy under current circumstances, today’s modern architects are contributors to negative forces. 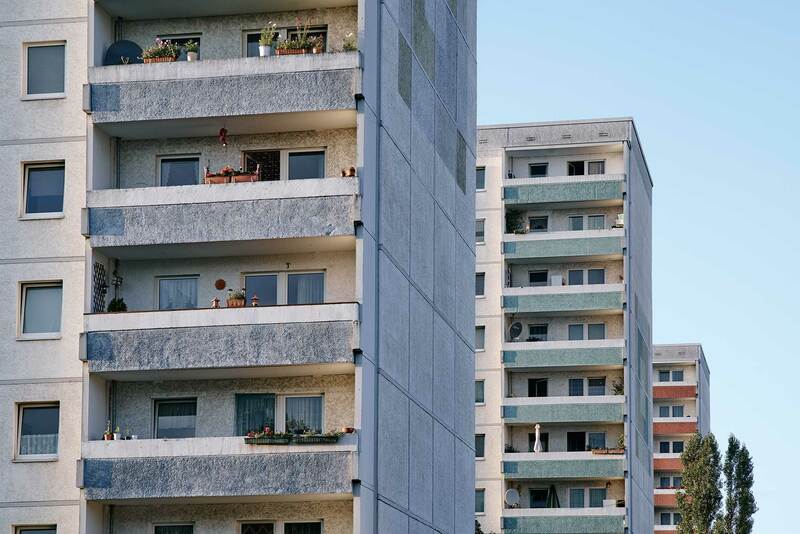 A significant part of the book is devoted to modernist ideals and industrialised housing programmes, both in the East – the article departing from Berlin Marzahn for example – and the West – including a description of the modernist neighbourhood you grew up in. I sense a good dose of admiration and nostalgia. Nostalgia is the right word. I never realised how nostalgic I am, until I started writing. An architect is not supposed to be nostalgic but forward-looking. But I’m nostalgic for a time when mankind was a lot more forward-looking than it is today; for a gradual optimism about the future. That’s the paradox. You remain relatively neutral about your personal ideals, although they shine through. Perhaps you become most explicit when you answer a counter-question by your interviewee Xenia Adjoubei, Nikita Khrushchev’s great-granddaughter. You tell her: “my major worry is that our acquired rights and emancipatory standards again become exclusive” and that “from a sociological perspective, 2100 might look dangerously like 1900.” Is this all about housing? It is about housing as an indicator. Reading the book of Thomas Piketty and seeing the parallels between his economic and architectural history inspired me. It does not only pertain to housing, but in housing it becomes most explicit. Housing is the vehicle for my writing to draw the parallels to architecture. Some conditions we grew up in – automatically presuming you could progress in a certain way, simply regarding emancipatory standards to be absolute – no longer hold in the future Piketty paints, with his daunting curves about income from labour and income from capital. If you make more money by having money than by working, it is again inherited wealth that determines social classes, pretty much the way it was before the 20th century. Housing is an interesting example of this. Look at the social housing estates from the 1950s and 1960s: they are either vilified and demolished, and social housing is eradicated, or they are preserved as historic monuments and converted into luxury apartments that are unaffordable for ordinary people. So even if the buildings stay, the social housing is no longer there. In either case the cause, social housing, is the victim: both when there is no respect for the architecture and when there is extreme respect for the architecture. Either direction doesn’t offer any way forward in terms of the reasons for which the estates were built, which is bizarre. If you look at Park Hill in Sheffield, Trellick Tower in London and even Unité D’Habitation; the mortgages that you need to incur with the bank to live there are above most people’s pay grade. Do we need a new approach to housing? We need very different politics. I think it is essential that the left reinvents itself so that it acquires a new mass appeal. I’m quite jealous of the appeal that populist right-wing movements manage to have with big groups of people. If the established left-wing parties would only have ten percent of that same appeal, they would be in a lot less trouble. Recently, after the Dutch launch of the book, when I was signing it in the venue’s café, [the Dutch populist right-wing politician] Thierry Baudet was there. I thought it was a remarkably interesting coincidence, because he has called OMA criminals against humanity, and praises Leon Krier and other kinds of nobodies. I would welcome a one-on-one debate with him, where I could go at it with a similar style but opposite viewpoints. Nobody addresses this; everybody laughs it away. It is a view on architecture, politics and social relationships that slowly but surely gains momentum. Strangely, often supported by those who have most to lose. How ironic it is that precisely the people in Britain who stood to lose most from leaving the EU voted for Brexit most emphatically. In that sense, I think that some decent, straightforward, accessible publication, media, about that phenomenon would have helped a lot. And you want to engage in this political debate? Yes, it’s something that interests me. I deliberately wrote the book in a type of language that is understandable. A lot of writing about architecture is pretty dense, and that is a friendly description. But I also wrote like that because I wanted the book to be accessible to more people than just architects. Interestingly, Piketty’s editor is also my editor. The economics section of Harvard University Press has published my book. That is also why the word ‘architecture’ wasn’t allowed to feature in the title. Having your book published with the publisher’s economics section can be a good incentive to write about architecture in an accessible way. Yes, so that more people can read it. And I have a thought: in the current power landscape, with large property developers – private interests – commissioning you, I think the people can become the public. If architects were a little bit more open to the people and to participation, they could actually form a vital alliance to counterbalance exclusive and private interests. There is an article about participation and Lucien Kroll’s experiments of the 1970s. Architects don’t generally like the idea of having too many people meddling with their labour, and I understand this instinct. Probably in the 1970s, it was an overdose of something that was already very present. But I think that in the retreat of the public sector the participation of users and particularly users that are not loaded with money could actually be an interesting way to strike a more humane balance. So your next move could be a movement or a collective effort beyond just architects? Yes, much broader than that. Essentially, a reconnection with users, even if those users are not the ones financing the buildings per se. Buildings are now speculative tools for users we don’t know. Since we don’t know them, there’s also no dialogue with them and that’s where I think the crux is. We should try to break the almost unbeatable cycle of architecture merely being real estate, being a tool of capital. The article about Lucien Kroll’s Maison Médicale in Louvain indeed ends by saying that “after making a convincing case of being for the masses in the twentieth century, architecture will have to be with the masses in the twenty-first.” Your idea of participation is less about asking people what kind of window frames they would like and more about..
It’s about mobilising the people as a political force. They can say what window frames they want, but ultimately, the architecture is a detail. In an interview about OMA’s Holland Green project in London, you said you consider yourself a socialist. Holland Green essentially is a luxury housing development that pays for the new Design Museum on the same site. To me it is a perfect illustration of the existential limbo I read in your book: you have to engage with the often relentless property developers that you criticise to try and do at least something for the greater good. To what extent are your realised projects compromises? Holland Green is an example of everything I fume against in the book. It was an extremely difficult project which taught me more than any other project in my life. I always say that any realised project is inevitably only a percentage of what you intend, and whether the percentage is above or below fifty determines the project’s success. Holland Green is almost fifty-fifty. We partially became complicit in something I accuse a lot of other modern architects of. In terms of architectural craftsmanship, I think the housing blocks turned out extremely well. At the same time, there was no affordable housing component realized elsewhere. The gift of the developer became the museum. I think it is great that there is a museum with no admission fee, which has a 99-year lease on a completely restored building, essentially paying no rent. A historic building has been saved, so the project did do something, but it only did that under the most extreme pressure of whatever is left of the public sector in Britain. It was very interesting to see what kind of role architects can play in the trench warfare, the shadow boxing, between public interests and private greed. You are almost forced into the role of a manipulative mediator, to make sure that greed, at least to some extent, works for the public good. But that’s a far cry from the role of the heroic building master who triumphs over his uncompromised vision. Holland Green is based on a compromise between the public and private sector, and your task is to craft that compromise. I am very happy that there are publicly accessible grounds – by law – for the buildings around the museum. Let’s see if they don’t put fences in because I’m pretty sure the next election cycle the fences will go up. Holland Park was our wake-up call. It makes you realise that architects have very little power. And what you have power over, you can wonder how much it matters in the end. Was it worth it, becoming an architect? I would not advise my children to go into the profession. There are more interesting topics to pursue in this day and age, and architecture is ultimately an old-fashioned discipline. There is nothing wrong with that, there is a need for an arriere-garde. I get very tired of an architecture that desperately tries to stay up-to-date with computer forms. The essence of the digital is that it is the digital. It is a revolution in another domain, and not per se in building materials. When there is a revolution in building materials, there will be a revolution in architecture again. Until that moment, we ought to be happy being the enablers of other intellectual and technological revolutions. The most forward-thinking thing to do about architecture today is a kind of reflection on what it actually means. That reminds me of what your professional partner Rem Koolhaas has noted in the context of preservation; that abstinence, doing nothing, is hardly ever considered. How do you think about that regarding the production of space? I agree with that. It would probably not be bad to take a time-out as a profession, to stop the mad and meaningless race that we are caught up in, and simply introduce a pause where you look around and assess situations. I think that is probably a different kind of abstinence than the one Koolhaas is talking about, but I do think that the unintended by-product of abstinence could be a bigger realisation of context. Of course, this is also what we have begun in the office, by having AMO, a branch not dedicated to buildings. If there were no restrictions, what kind of projects would you ideally like to work on? After the Holland Green project in London, we have been very eager to acquire affordable housing projects. A low-cost, low-rent housing project, or a secondary or grammar school, that is what I would like to work on very much, but those are in fact the projects with probably the most restrictions. So if there were no restrictions, I would find the commissions that impose them on you, because a lot of the restrictions that go with that kind of projects are very valid. The strange thing is that everybody thinks the market economy provides freedom. The market economy is professed in the name of freedom but strangely enough, when you work for commissions typically related to the market economy, like the Holland Green project, you very quickly find out that that freedom is an illusion. Freedom has been sacrificed in the name of freedom. So I would like to do a highly nostalgic social housing project with the school in the middle of it, and the budget doesn’t have to be large. We meanwhile might have a profile where people don’t believe we are serious when we ask for this, but it is a serious question. We have done some unbuilt propositions, which did not make it but are architecturally quite interesting. They are understated, but very beautiful. They return to a kind of simplicity and architectural smartness that I like very much. Projects with an economy of means? Yes, but where the economy of means really benefits the people that it is supposed to serve. We did a bridge for Pimlico, which was simply a Vierendeel truss with foot and bicycle paths spanning the Thames, in a competition context where everybody was doing way over the top things. We also did a tender for a housing project in the south of London; a collection of clustered, square towers, very simple. 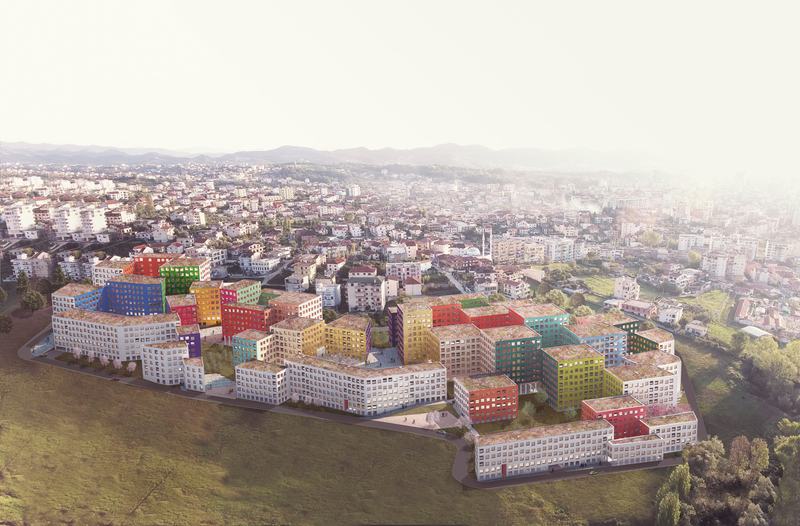 Currently we are working on an affordable housing project in Tirana, Albania. I think that goes for a budget of under €300 per square metre. It is not all design though, because labour is also very cheap there. Will we see your portfolio expand in that direction? Hopefully, yes, into a more radical pursuit of the mundane. That’s also something I say in the book: the market is a mundane pursuit of the radical, but I’m interested in projects which revert that relationship; a radical pursuit of the mundane. This statement "...Leon Krier and other kinds of nobodies..." Well, it's obvious Reinier doesn't understand diversity and pluralism if he's caustic towards traditionalism. The fact is many people love traditionally designed communities. I can understand Dutch and German architects feeling constrained by traditionalism. But in America and the developing world, where the automobile has decimated community and is a real health problem creating pollutants and obesity and huge transportation costs, a walkable traditional community is desperately needed. Traditional communities represent the solutions. Modernism is tied with the automobile. Jan Gehl makes this pretty clear. A very interesting interview. I would like to read de Graaf's fiction.